You might want to try it the next few weeks before your bow season. Click here for more on how to do it. 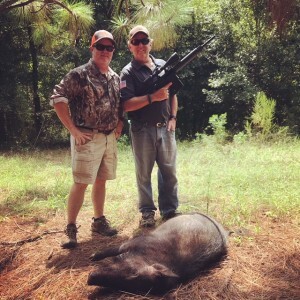 I’ve shot my share of wild hogs over the years, mostly in Texas and Florida. I knew this invasive species was a general nuisance that rooted up crops and competed with deer for food sources. But it wasn’t until I went down to South Georgia and talked with the locals and hunted pigs for a few days on TV that I realized what a serious problem expanding populations of hogs are in many parts of the country. 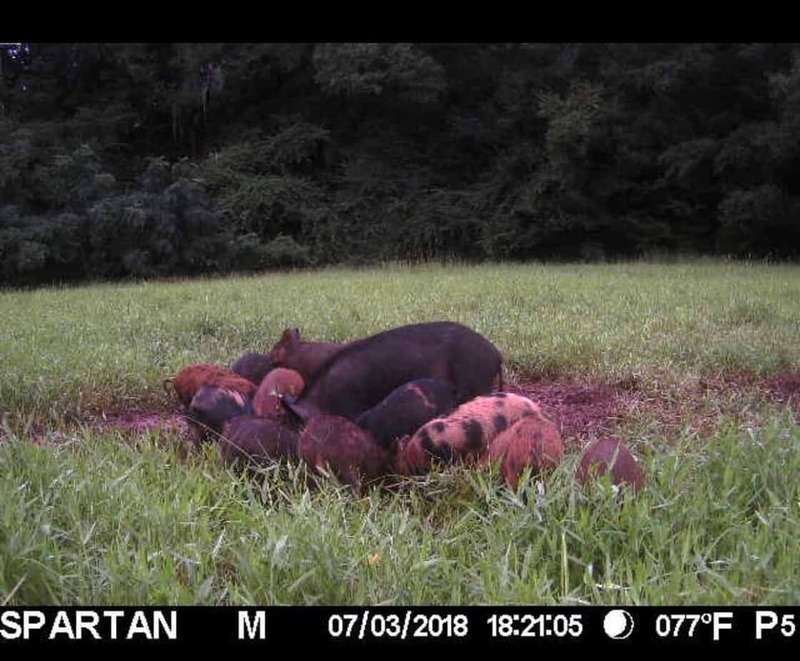 I hunted and filmed and talked to the locals for 3 days, and then came home and researched feral hogs for a week as I wrote the script for the episode “Hog Wild,” which will first air on the Sportsman Channel on Wednesday August 22 at 7:30 PM Eastern Time. Here’s some of what you’ll see and hear on the show, written in random fashion. 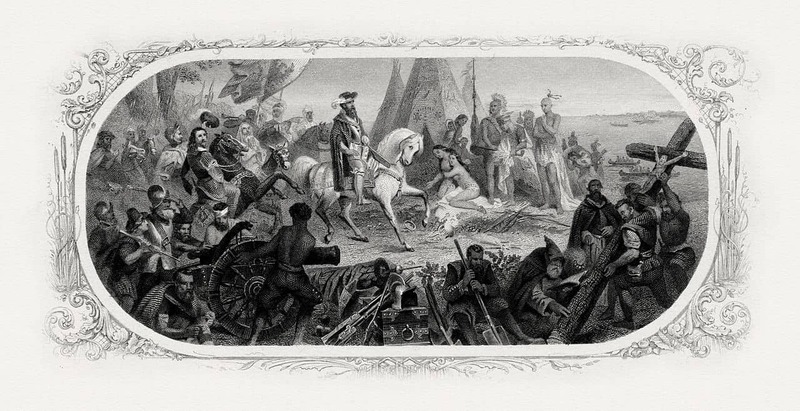 In the 1500s, explorers like Hernando de Soto brought hogs to America as a food source. In the 1900s, wealthy landowners introduced the Eurasian wild boar into parts of the U.S. for sport hunting. Today’s feral swine are a combination of escaped domestic pigs, Eurasian boar, and hybrids of the two. This invasive species has greatly expanded its range and numbers, into the millions, over the last 35 years. I’ve shot most of my hogs from deer stands and on stalks, or with dogs. But I’d never hunted them at night with thermal technology. Aaron Adkins (above) of Trijicon Electro Optics is here to show us the ropes. I am now addicted to thermal hunting! 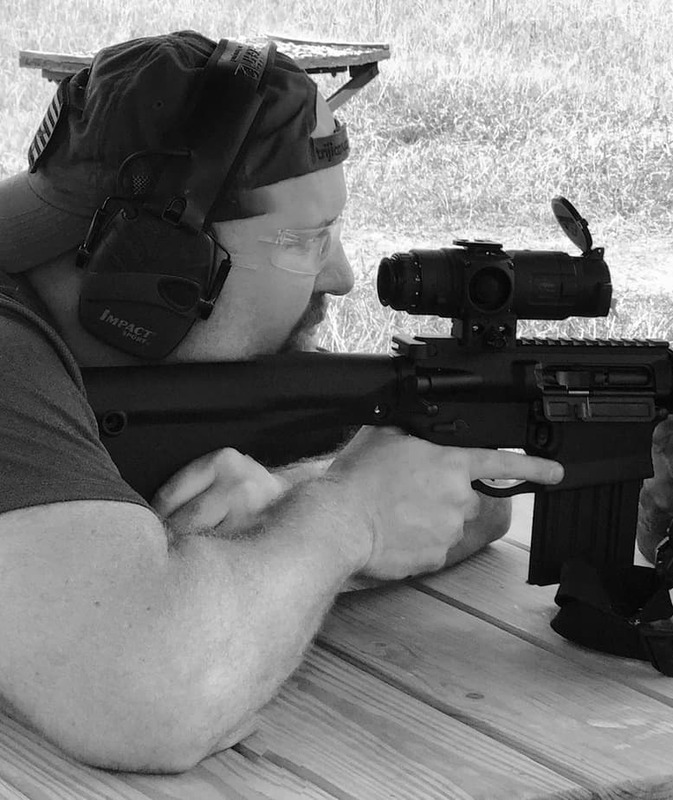 For pig firepower, we used and tested and DPMS GII .308 Hunter rifles, and they were both a pleasure and a blast to shoot (super accurate, no recoil). Aaron topped one of the AR rifles with a thermal Trijicon REAP-IR, and I topped the other with a 2.5-10X Accupower scope for last-light shots at hogs. We shot Remington HTP .308 168-grain ammo. According to the U.S Dept. Of Agriculture, feral swine cause more than $1.5 billion in damage each year to property, crops and livestock. To a local farmer, hogs are not just a nuisance, but a threat to his livelihood. In 2014, in response to the increasing damage and disease threats posed by expanding populations of hogs, Congress appropriated $20 million to the US Department of Agriculture for the creation of a national feral swine damage management program. Control efforts range from trapping and euthanizing hogs to aerial gunning where legal and practical. Everyday hunters like you and me can play a key role in the ongoing efforts. 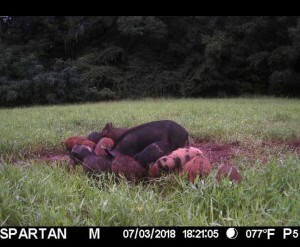 Feral hogs breed year-round; a sow can have 2 litters of 4 to 8 piglets a year (some say as many as 12 piglets). A feral hog can run 30 mph. 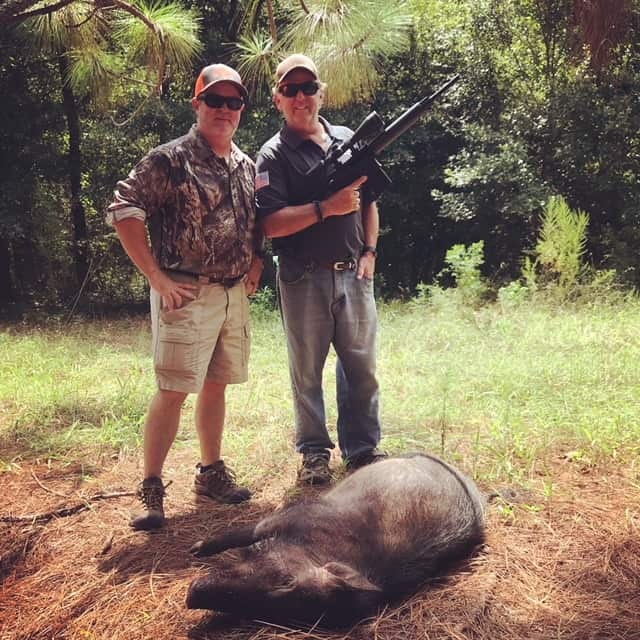 We ended up killing a few pigs and having a blast at night with the Trijicon thermals. Again “Hog Wild” airs August 22 at 7:30 PM on Sportsman, set your DVR. 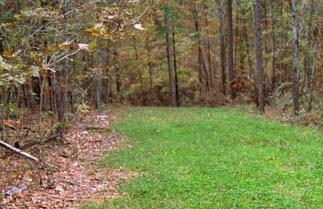 Hey Mike: Here are some quick thoughts on how to save some money on food plots if your budget is strapped, or you don’t have the ability to move large equipment from property to property. Seed depth is critical for quality deer food plot success. Recently I didn’t have the ability to take all the equipment that I normally would to a property where I planted a plot. I had no way to sufficiently drag in the seed. I wanted just a small amount of topsoil over the brassicas. Rule of thumb is all seed gets buried at twice the depth of the size of a seed (I.E. if soybean seed is ¼” you want it planted about ½”, and if a brassica seed is .10” you want it at .20”) I know this is pretty precise but it’s a good guideline. The cheap and easy solution is to ratchet strap a simple wooden pallet behind a quad, and drag the seed bed once the seed has been broadcast. I added a field stone for weight (see picture, inside the red oval); it was perfect to get just a dusting of dirt on top the brassica seed. If I were planting soybeans and wanted to plant them deeper I’d add a concrete block or large chucks of firewood and strap them on. The more weight the deeper it digs/covers. The best part is when you wear down the boards, simply flip the pallet over and use, and then switch it from end for end so you’ll have 4 boards to use that last a long time. I also don’t always have room or the means to take along a seed drill or large broadcast seeder so I’ve always kept a small hand-crank seeder with me. I usually wear out 2 a year as the small seed binds them up. I also break off a lot of the crank handles. I’ve found a solution from Scott called the Wizz (pictured top right). It’s a battery-operated seeder that has dozens of settings for seed size and can even widen or narrow the pattern. My buddies laughed at me for having a battery-operated seeder until they tried it—they then said it might be the best invention ever. It saves a ton of cranking and broken seeders, and is way more uniform in seed spacing, and that saves money on seed. It might be the best $20 property management tool I’ve purchased. The Wizz packs easily and I get about a season’s worth of planting off just four AA batteries. You might know that Athens is a vibrant college town, home to the SEC Bulldogs. Did you also know it’s the epicenter of whitetail research and deer-hunting information in America? Last week the BIG DEER TV crew took a road trip to check it out. First stop, headquarters of the Quality Deer Management Association. I stepped in the front door and naturally checked out the shed tree in the corner. It’s built with an antler from every state and province where whitetail deer are found. Impressive, and they tell me it weighs more than a ton. 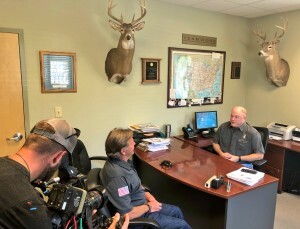 I sat down for a lengthy talk with Brian Murphy, CEO of QDMA and one of the top deer biologists in the country. This man knows the state of the whitetail across North America in 2018. Brian explained that after several tough years, notably 2011-2014 when winters were harsh in some regions and big outbreaks of Hemorrhagic Disease killed numbers of deer in other areas, things are looking up. Deer herds are generally doing well, and prospects for the 2018 season are good. But all is not rosy. Brian pointed to some major issues issues on the horizon. First, and the elephant in the room, is Chronic Wasting Disease. CWD, first documented in deer in Colorado in 1967, has now been confirmed in 24 states, 3 Canadian provinces and 2 foreign countries. CWD is found only in hoofed animals such as deer, elk, and moose. The disease affects an animal’s nervous system. Infected deer lose weight, wander aimlessly, salivate and eventually die. It is always fatal. CWD is affecting the core of why we hunt—to bring home the venison. While no cases of CWD in humans have been confirmed, there is fear that could change. In a Canadian study three of five primates contracted the disease after eating meat from CWD-infected animals. Brian’s advice: If you shoot a deer in a known CWD area, DO NOT eat the meat until you have it tested and confirmed CWD-free. Second big issue: Decline of hunters across North America. Recent surveys reveal that only 5% of Americans age 16 and up hunt today. That’s half of what it was 50 years ago. The number of licensed hunters, by far most of them deer hunters, dropped from 14.2 million in 1991 to 11.5 million in 2016. Most disturbing, the decline is expected to accelerate over the next decades. Fewer hunters buying licenses and guns and ammunition equals less dollars for state wildlife conservation departments. If we do not stop this negative trend, the consequences will be severe. There are already reports that dollars for CWD research are drying up, and that’s the last thing we need. 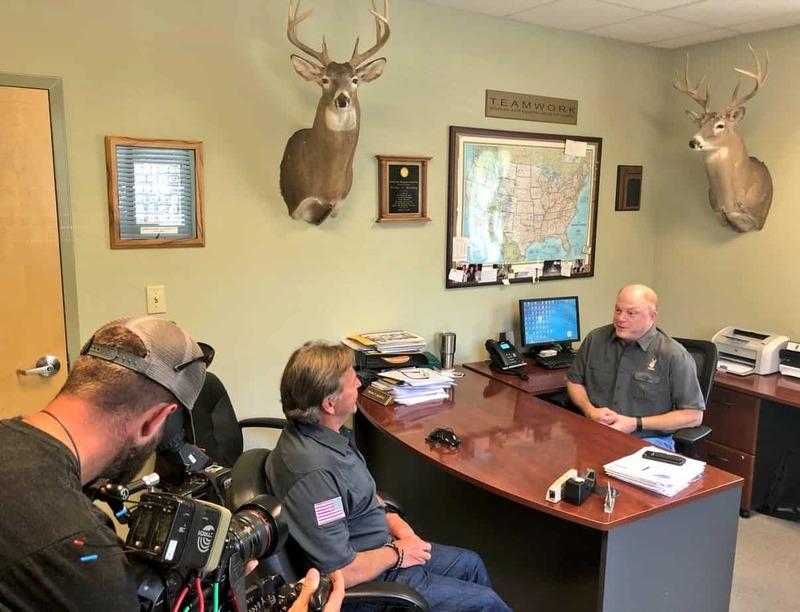 Brian Murphy said QDMA is making a big push to continue youth hunter recruitment, and also to bring in more adults, 20-, 30- and 40-something men and women who might well want to to hunt deer, but who were never exposed to hunting as kids. Next, I drove across town to check out the Deer Lab at the University of Georgia. This is one cool place. 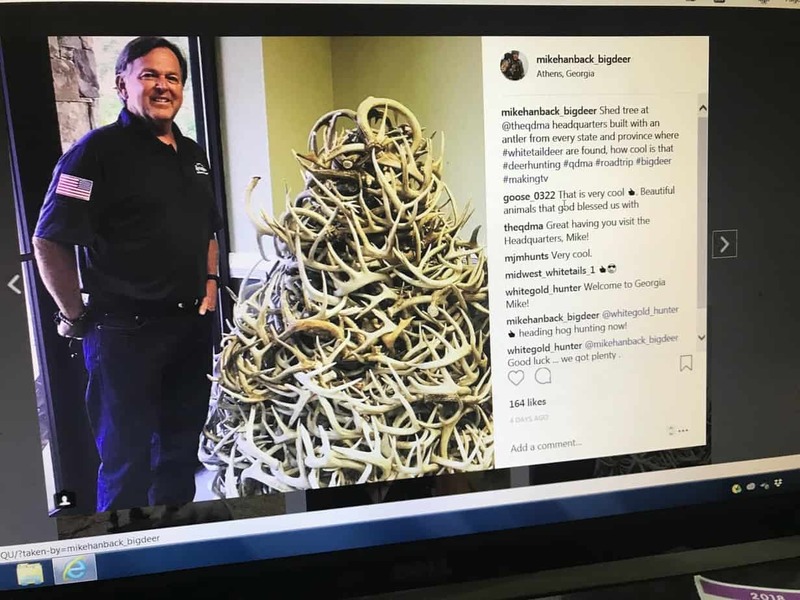 Under the tutelage of Dr. Karl Miller for the past 30 years, the Deer Lab has grown from one small pen to an impressive collection of buildings and enclosures where landmark whitetail research is ongoing. Dr. Miller gave us the tour, where we observed and filmed collared does and fawns and bucks in velvet. We checked out rooms where deer are exposed to lights and monitors to check their vision. Dr. Gino D’Angelo explained studies he has conducted on how deer hear, and GPS-collar projects that track deer movements. To a whitetail junkie like you and me, all kids of fascinating stuff. Set your DVR and watch this episode of BIG DEER TV Wednesday, August 29 at 7:30 PM on Sportsman Channel. 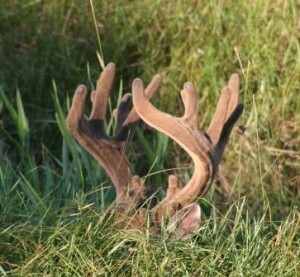 Above normal temperatures–say a string of 90-plus days with high humidity–cause whitetails to stress. The amount of stress is dependent on the quality of the habitat. Deer consume more water than any other mineral (water is a mineral, a naturally occurring substance). The amount of water deer need increases during hot and dry periods in summer. Where good water is abundant, no big deal. But where water is limited either by quantity or quality, some of a deer’s bodily functions are limited, such as transferring calcium to growing antlers or milk production for fawns. Deer travel to find water. But if they are forced out of their home range in search of H2O, bucks and does expend huge amounts of energy that then can’t be used for other bodily processes like antler growth and milk production. Biologists point out that deer traveling out of their range to find water is very rare, except possibly during an extended drought. Normally they can find enough water to survive in their core areas. Whitetails are adaptable and resilient, and are used to dealing with natural hardships and stress. An extended drought and abnormally hot summer in your region might lead to smaller antler growth and less fawn recruitment that fall. But a typical summer with periods of high heat and dry weeks won’t affect the herd much. Alabama: Would You Pay To Bait Deer? Alberta 2018: Young Lady Shoots 238 2/8” Giant Buck!